It couldn’t happen to a bigger fraud. Funny thing is, Al Gore got done for the same stuff. India’s Rajendra Pachauri has stepped down as chair of the UN panel of climate scientists after allegations of sexual harassment, which he denies. 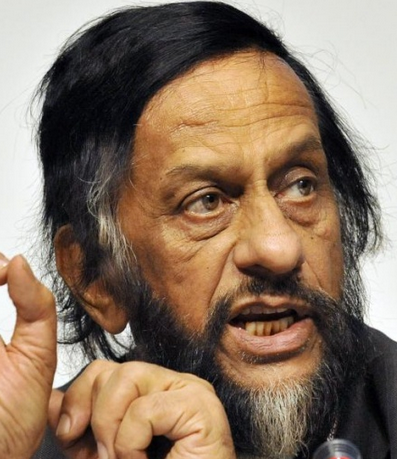 Mr Pachauri, chairman of the Intergovernmental Panel on Climate Change (IPCC) since 2002, pulled out of an IPCC meeting in Kenya this week after Indian police launched an investigation into a sexual harassment complaint against him. He has denied the allegations, according to an Indian court order. Pachauri is 74. His alleged victim is a 29 year old female researcher. Lawyers for the woman, who cannot be named, said the harassment by Pachauri included unwanted emails, text messages and WhatsApp messages. His lawyers claimed in the court documents that his emails, mobile phone and WhatsApp messages were hacked and that criminals accessed his computer and phone to send the messages in an attempt to malign him. Yeah sure, sounds like just more of the same old BS we’ve been hearing from this fraud for decades. He was due to step down this year anyway, so there’s not a lot in it. However if it turns out there is substance to these charges it won’t help the credibility of the UN, a body whose reputation is already badly scarred. There are around 200 western governments who have been beguiled by the global warming myth, and this year was going to be big for the signing of a new treaty in December to replace the failed Kyoto accord. Already damaged by revelations of data manipulation and other fraud, the AGW movement may not recover from revelations its leader has been skirt chasing in the office. One can only hope.